Some children need to have their blood lead levels rechecked due to inaccurate test results, federal health officials said Wednesday. 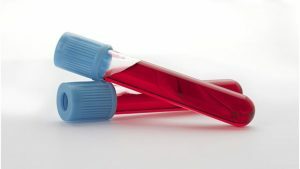 Magellan LeadCare Testing Systems used for venous tests have been found to underestimate blood lead levels, providing some patients with a false negative, according to the Food and Drug Administration (FDA). “Falsely lower test results may lead to improper patient management and treatment for lead exposure or poisoning,” the FDA said in a safety communication. Lead exposure has been associated with health, learning and behavior problems, and no amount is considered safe. Children in at least 4 million households are exposed to high lead levels, according to the Centers for Disease Control and Prevention (CDC). Most commonly, children’s blood is tested for lead via a finger or heel stick known as a capillary test. If the results show elevated lead levels, they need to be confirmed through a venous test in which blood is drawn from the arm. It is the venous tests, if run on Magellan LeadCare Testing Systems, that are of concern. Magellan Diagnostics has been working to mitigate issues with the test system since August 2014, and the FDA has been unable to determine the cause of the problems. had a blood lead level less than 10 µg/dL. Pregnant or lactating women who had one of these tests also should be retested. Families with concerns should speak with their doctor to determine if retesting is necessary. “These recommendations are being made to ensure that children who continue to have exposures in environments that contain lead are assessed and receive the resources needed to stop the exposure,” said Jennifer A. Lowry, M.D., FAAP, chair of the AAP Council on Environmental Health Executive Committee. If a child is found to have high blood lead levels, pediatricians should follow the management guidance in the 2016 AAP policy Prevention of Childhood Lead Toxicity. They also can reach out to their local Pediatric Environmental Health Specialty Unit for additional support. If a child’s new test is negative, a pediatrician can’t rule out past exposure but at least can receive some reassurance the exposure is not ongoing. Dr. Lowry emphasized the importance of prevention and early detection of lead exposure. Pediatricians should ask families regularly about risk factors like low socioeconomic status, recent immigration and living in older buildings and follow up with appropriate testing and resources. They also can educate parents regarding sources of lead like lead-based paints, toys, cosmetics, ethnic spices, certain occupations and hobbies and water from corroding plumbing. “It’s really important to know we can overcome this with good nutrition and good education,” Dr. Lowry said. Adverse events related to the tests should be reported to the FDA through its MedWatch Safety Information and Adverse Event Reporting program. Anyone with questions about the testing guidance can contact the FDA at dice@fda.hhhs.gov or 800-638-2041.